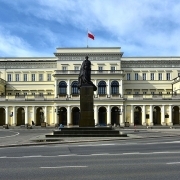 Global law firm White & Case LLP has advised the Polish Ministry of Finance on the €2 billion issuance of ten- and 30-year euro-denominated ‘Green Bonds’, maturing respectively on March 7, 2029 and March 8, 2049. The €1.5 billion issuance of the ten-year Green Bond yields 1.057% with an annual coupon of 1%. The €500 million issuance of the 30-year Green Bond yields 2.071% with an annual coupon of 2%. The bonds were issued under the Republic of Poland’s €60 billion Euro Medium Term Note Programme, and the proceeds will finance environmental projects according to the Green Bond Framework developed by the Ministry of Finance in line with the ICMA Green Bond Principles. The buyers of the ten-year and 30-year Green Bonds were well diversified with, respectively, 47 percent and 43 percent of the allocations going to designated green accounts. The White & case team which advised on the transaction was led by local partner Andrzej Sutkowski (Warsaw), with support from counsel Doron Loewinger (London) and associates Katarzyna Grodziewicz, Damian Lubocki (both Warsaw) and Luiza Salata (London). Conyers advises AXA in connection with an agreement to acquire 100% of Bermuda-based XL Group Ltd (NYSE: XL), a leading global property and casualty commercial lines insurer and reinsurer, for a total consideration of US$15.3 billion, to be fully paid in cash. 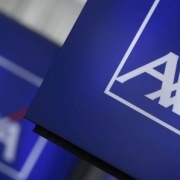 Completion of the transaction, which was unanimously approved by the boards of AXA and XL Group, is subject to approval by XL Group shareholders and other customary closing conditions, including the receipt of required regulatory approvals, and is expected to take place during the second half of 2018. The five U.K. firms present in Seoul—Clifford Chance, Herbert Smith Freehills, Linklaters, Stephenson Harwood and Allen & Overy—will have to either re-register their office licenses or close their offices, at least temporarily. A group of U.K.-based law firms in South Korea are anxious about the future of their offices in Seoul, as a no-deal Brexit could force them to close their offices temporarily. 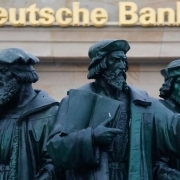 Deutsche Bank is in talks with Commerzbank, its German rival, about a merger that would be one of the biggest banking tie-ups in history. If it takes place, there would likely be thousands of job cuts in Germany and potentially a strategic overhaul of international operations, including Deutsche’s presence in London, where it employs 5,000 people. There has been speculation for months about a potential deal between the banks, addressing weakness in their domestic operations by cutting costs and potentially raising prices for retail customers. A would-be deal has received the unofficial backing of Olaf Scholz, Germany’s finance minister, as a way of creating a national champion and improving the strength of the banking sector, according to reports. 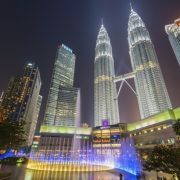 Thirty-lawyer Malaysian firm Zain & Co. has become a member of Dentons. The firm joins existing Dentons member firms in Myanmar and Singapore to form the newly established Dentons ASEAN Region. The launch today of our expansion in Malaysia with one of the best firms there will help us build on our currently strong South East Asia presence,” said Philip Jeyaretnam SC, Dentons’ global vice-chair and ASEAN CEO, in a statement. 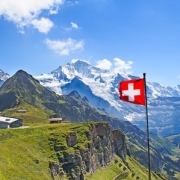 Dentons, which operates as a Swiss verein, now has a presence in 74 countries globally and it is currently finalising a combination with Indonesia’s Hanafiah Ponggawa & Partners. Leading global law firm Baker McKenzie has advised PSP Swiss Property (PSP) on the acquisition of the so-called “Carba Portfolio” in Bern-Liebefeld, valued at CHF 180.5 million, which was purchased by a share deal. The portfolio consists of several properties with approximately 36’000 m2 of usable floor space; it offers state-of-the-art and representative premises for offices and services as well as attractive commercial space. The “Carba portfolio” is practically fully let and generates a gross yield of 3.9%. “We are very pleased to have supported PSP in their acquisition of their real estate portfolio with our legal and tax expertise,” commented Martin Furrer, partner in Zurich. Baker McKenzie provided comprehensive advice to PSP with regard to all legal and tax aspects of the acquisition and during negotiations. The Baker McKenzie team comprised Martin Furrer (Partner Zurich), Samuel Marbacher (Partner, Zurich) as lead partners, Mario Kumschick, Selina Mani, Valeria Knöpfel, Michael Zeller, Cathrin Marxer, Basil Kirby, Philippe Monnier and Andrea Puricelli. Partners at transatlantic firm Hogan Lovells increased their profit share in the last calendar year, the firm’s latest results indicate. Profit per equity partner rose 4% to £1.035m in the year ending 31 December 2018, up from £996,000 in 2017. 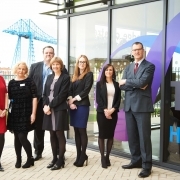 The firm did not provide an overall pre-tax profit figure. Revenue rose from £1.581bn to £1.596bn – a 0.9% increase. Calculated in US dollars, profit per equity partner was $1.381m, up from $1.283m. Revenue was $2.11bn, up from $2.037bn. Chief executive Steve Immelt said the firm expects an ’increasingly volatile global economy’ in the year ahead, with trade tensions and uncertainty caused by political instability such as Brexit creating a slow-down effect. Eversheds Sutherland is pleased to announce the formation of a global innovation team dedicated to working with clients to address their most pressing priorities through creative and innovative solutions. The Global Co-Heads of Innovation are UK-based Andrew McManus and US-based Anusia E. Gillespie. Mr. McManus brings to the role his deep experience in technology and years of experience at Eversheds Sutherland, while Ms. Gillespie offers her experience in the practice and business of law and a fresh and unique perspective from her recent work at Harvard Law School Executive Education. Together, Mr. McManus and Ms. Gillespie will take a comprehensive, analytic and disciplined approach to innovation to better serve clients globally. 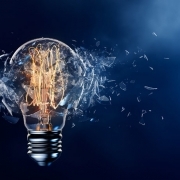 In the last year, Eversheds Sutherland has demonstrated its commitment to creating a robust innovation pipeline with the launch of Idea Drop, an internal crowdsourcing platform to curate innovative ideas; the global implementation of legal technology solutions including CaseReady, Client Portals and ESLocate; and the launch of Client Conversations, a custom app that provides key information about Eversheds Sutherland. With their complementary backgrounds, Mr. McManus and Ms. Gillespie will lead the strategic planning for innovation and will coordinate on research and development, client partnerships, and best practices. They will engage with clients, lawyers and professionals from across the global legal practice to develop new resources and enhance existing processes, and will highlight areas for change and growth within Eversheds Sutherland. Mr. McManus has been with Eversheds Sutherland for over four years. In his previous position he led the technology function as IT Director leading the development of the core platform. He is now solely focused on the technology and innovation needs of clients and in developing Eversheds Sutherland’s overall Digital Strategy and growing adoption of solutions to support lawyers and clients. Ms. Gillespie recently joined Eversheds Sutherland from Harvard Law School Executive Education, where she worked with industry leaders and Harvard faculty to research, design and launch business of law programs for practicing lawyers from around the world. Previously, she practiced law, founded and developed a business, and co-authored a book with Dr. Heidi K. Gardner, a Distinguished Fellow at Harvard Law School’s Center on the Legal Profession. Kim Hyun-suk, the head of Clifford Chance’s Korea office, will soon leave the firm, marking the latest in a series of exits from the UK firm’s Seoul operation. The Korea practice will now be led by Hong Kong-based partner Richard Lee and Seoul-based counsel Bong-Sang Cho, Clifford Chance confirmed to ALB. Kim has been based in Seoul since Clifford Chance established an office there in 2012, becoming one of the first international firms to do so. He began his relationship with the firm in 2009 while based in Hong Kong, where he progressed to partner. Since last year, Clifford Chance has lost four lawyers who focus on the Korea market, including Kwangwoo Kim, a former associate who is now an executive director at Goldman Sachs, and Angela Ryu who was based in Hong Kong, but is now with Allen & Overy in the UK. The firm, which assists international corporations, banks and financial institutions, and regulatory bodies in Korea, now has three counsels based in Seoul, according to its website. There has been a fair amount of movement with Seoul’s legal market recently. 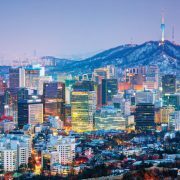 Last year, Simpson Thacher & Bartlett closed its Seoul office, while US firms Shearman & Sterling and Arnold & Porter have also reportedly gained licenses to establish Korea offices this year. 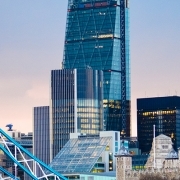 Korea opened up its legal market in 2012, following free trade agreements with the US and the European Union – agreements which are now under scrutiny as the possibility of no-deal Brexit approaches. 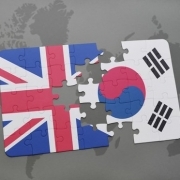 There are currently five UK-headquartered firms operating in Korea.